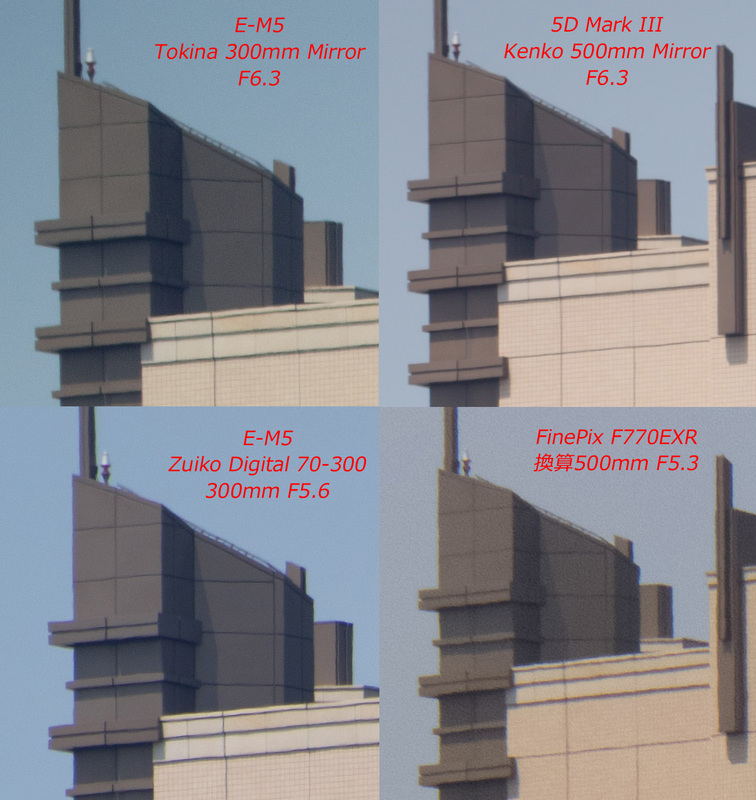 Japanese photography website DSLR Check made a resolution comparison of the Kenko Tokina 300mm F6.3 mirror lens specially made for micro four thirds compact system cameras to other tele lens available in market, namely the Olympus Zuiko Digital 70-300mm F4-5.6 lens for Four Thirds, the Kenko 500mm F6.3 mirror lens coupled to a Canon 5D Mark III and a long tele available in a point & shoot camera the Fujifilm FinePix F770EXR also at 500mm . From comparison photos above we can see the Kenko Tokina 300mm F6.3 fares quite well providing good resolution specially for a mirror lens. The comparison photos were all taken in RAW and converted to JPEG via Lightroom with similar settings in order to make comparison fair. We have to have in mind that the Kenkon Tokina 300mm mirror lens is a manual focus lens so take that into consideration if you are planning to buy one as manual focus on a long tele lens works better on non moving subjects.